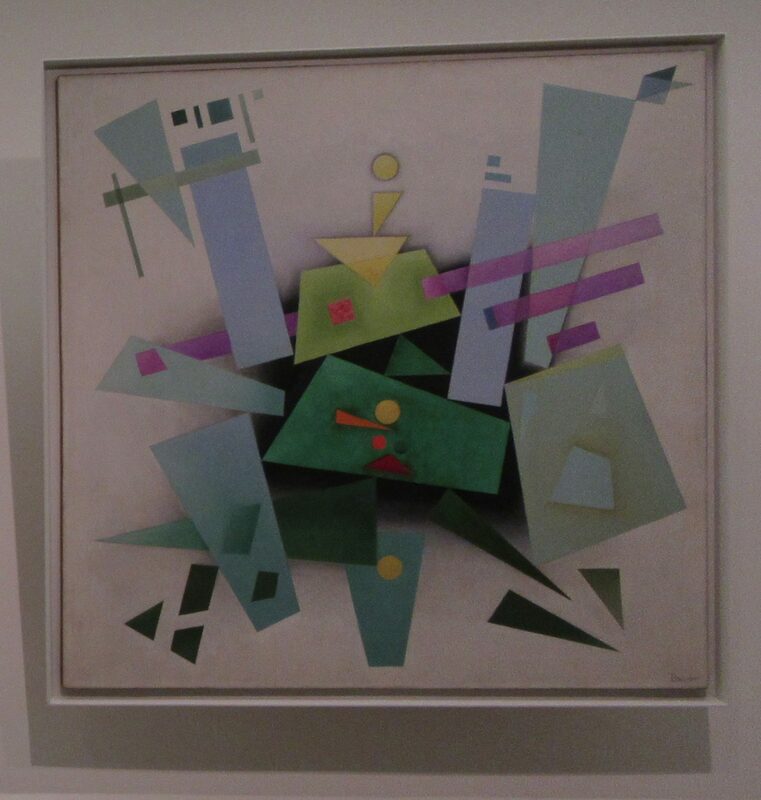 By the late 1920s, Rudolf Bauer (1889 – 1953) had replaced the lively and organic symphony of shapes that he had developed in his earlier work with a more balanced aesthetic. Invention (Composition 31) (1933) epitomizes this trend and features flat geometries tightly gravitating toward a dark center, a hazy black shape perhaps symbolizing the ultimate void. Also around this time, museum founder Solomon R. Guggenheim became acquainted with the artist through Bauer’s former companion, Hilla Rebay. 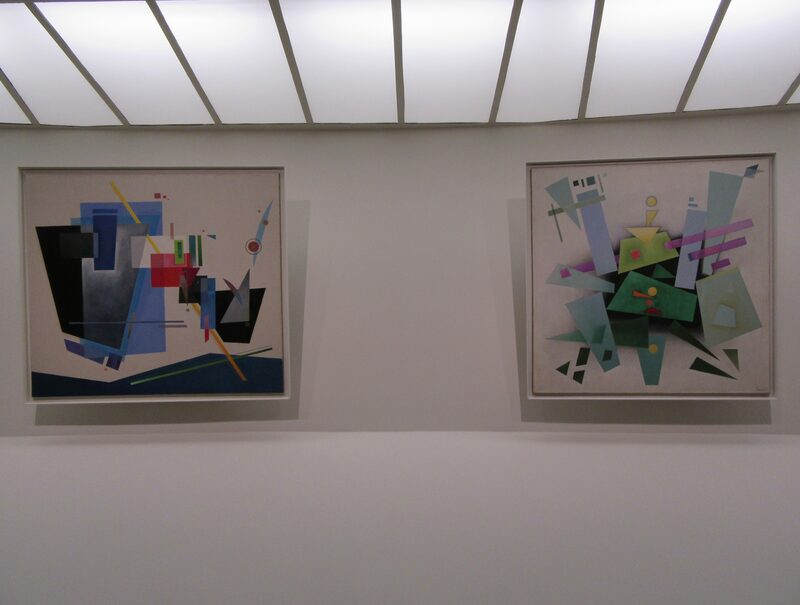 Not only was Bauer’s work amassed in depth, but he also played an integral role as Guggenheim’s European agent in the first decade that Guggenheim spent forming his modern art collection. Invention (Composition 31) was reproduced on the cover of the catalogue Art of Tomorrow, which accompanied the opening exhibition of the Guggenheim Museum’s Non-Objective Painting, New York in June 1939. ← Pink Thing of The Day: Oversize Dental Model! What is the name of the painting on the left? I saw it and loved it but forgot the name! What is the name of the painting on the left? I’ve been looking forever and I can’t find it!